J. Harding &amp; Co. has been family owned and operated in the historic Houston Heights since 1978. We offer paper printed products available with your custom logo at very affordable prices! Add a special touch to your apparel with embroidery for your logos and monograms. For all types of customizing needs, screen printing offers a range of applications and colors. Browse our catalogs of sportswear and other promotional items for customization. This concept is very simple and fun. 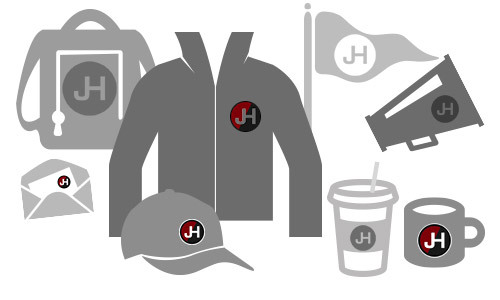 If you can think of a garment or object to put your logo on, we can probably do it. By using different methods of logo branding, you are able to place your logo on a variety of products. If you have a nice looking logo, why not show it off by sporting a cap or sport shirt with one. The more places you have your logo the more recognizable it will be. Let us help accomplish this for you. We are a company that can help you from start to finish. Find just what you're looking for to promote your cause.